Hamilton drama presents “The Giver” Nov. 3-5 - Hamilton School District. 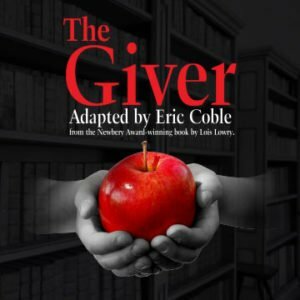 Hamilton High School Drama invites community members to attend “The Giver” Nov. 3 – 5 at the Hamilton Fine Arts Center (HFAC). Shows are at 7 p.m. Friday and Saturday, and at 2 p.m. on Saturday and Sunday. “The Giver” is the story of Jonas, a young man, who discovers what it means to grow up, grow wise and take control of your own destiny. Jonas lives in a seemingly idyllic world of conformity and contentment. When he begins to spend time with The Giver, an old man who is the sole keeper of the community’s memories, Jonas discovers the dangerous truths of his community’s secret past. Armed with the power of knowledge, Jonas realizes that he must escape from their world to protect himself and those he loves — a challenge no one has ever completed successfully. Tickets are $8 for adults and $5 for students and senior citizens. They may be purchased at Hamilton High School’s office C, online at the HFAC website www.hamiltonfineartscenter.com or at the HFAC box office 30 minutes before each show. Only cash or checks can be accepted at the ticket window.